Isobar > The Squeeze >Archive>Congratulations Healthways! Ranked #13 on the InformationWeek 500! Congratulations Healthways! Ranked #13 on the InformationWeek 500! 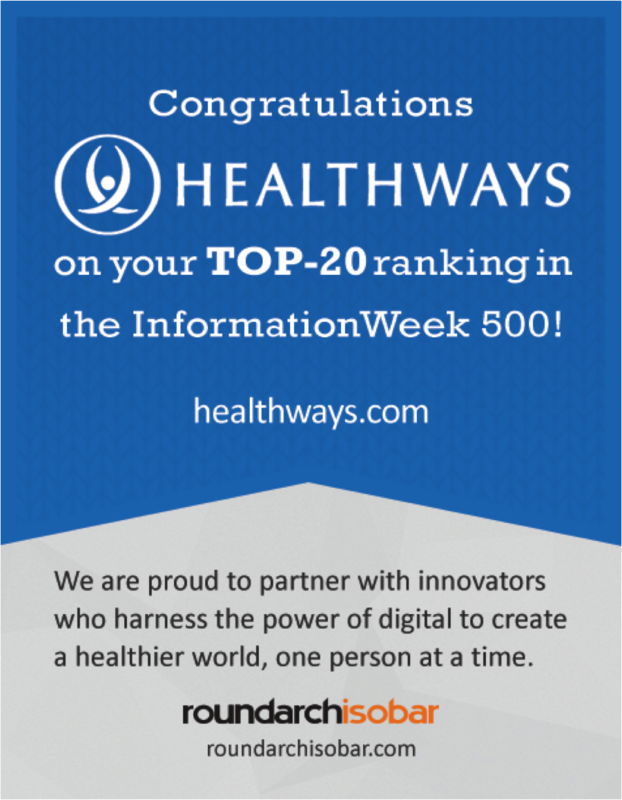 Congratulations to our partner Healthways for their #13 ranking on the InformationWeek 500! The 25th annual InformationWeek 500 list represents the country?s most innovative business technology users across varied fields. We are proud to partner with Healthways as they harness the power of digital to create a healthier world. ?Innovation is the lifeblood of modern business and the defining characteristic of InformationWeek 500 companies. To these companies, innovation isn?t just a buzzword. Their creative, even pioneering, technology initiatives are producing clear business results, which we chronicle in this special IW 500 digital issue. ?